I always encourage new homeowners to focus on the bedrooms first. And with good reason. It is both the place of intimacy and serious late night discussions with your mate. During thunderstorms, it becomes a safe retreat where your children can run. After a long day or an illness here, is where recovery takes place. And finally, when an aching heart needs to be poured out, we close the door and let these four walls absorb and safely guard our tears. 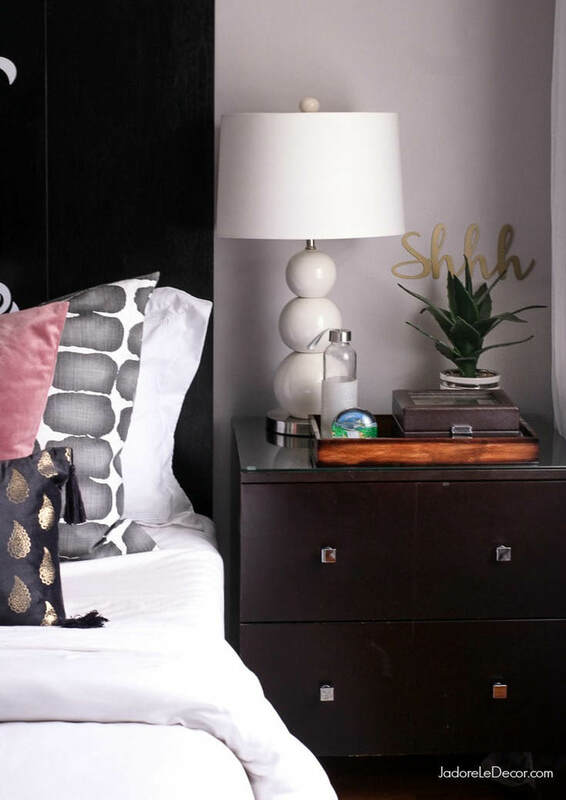 Yes, kitchens and baths might sell homes, but the bedroom is uniquely personal. Yet for all of the meaningful things that take place in it, the bedroom, seems to be the most forgotten part of the home. It is the last room on everyone's to-do list. 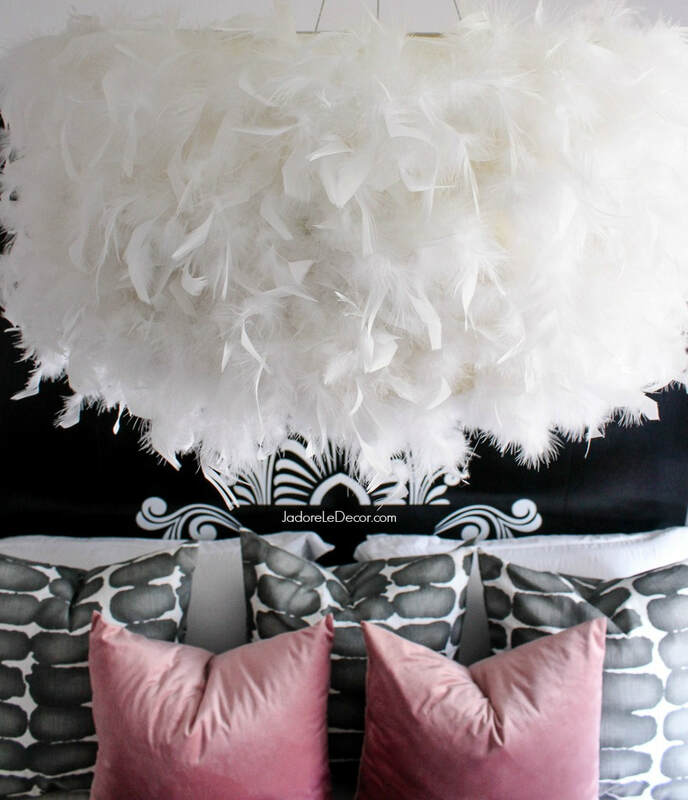 I'm happy to say that the J'adore Le Decor home, has officially climbed out of that rut! I have to admit. Were it not for having been invited to participate in the #springintoactionbloghop, with 13 other fabulous bloggers/creatives, I probably would have NEVER finished this room. If you're visiting me by way of Nicole from Home on Poplar Creek, bienvenue! I'm happy to have you! For those of you just joining me, as part of my resolve to get better sleep in 2018, I've been revamping my bedroom. Over a period of 4-5 months, I've slowly been adding elements to create a sleep inducing, beautiful and winsome resting place for me and The Husband. 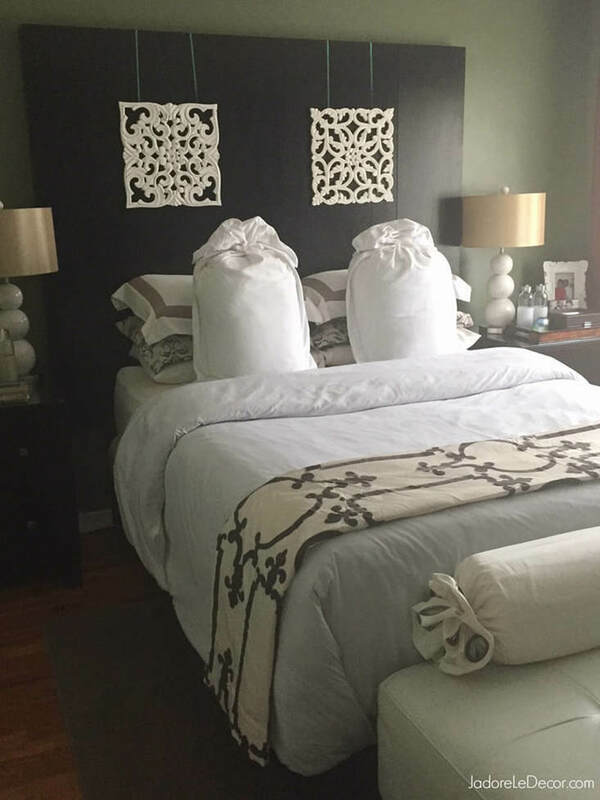 With the exception of a new king-sized mattress, the items used in this upgrade were relatively inexpensive. 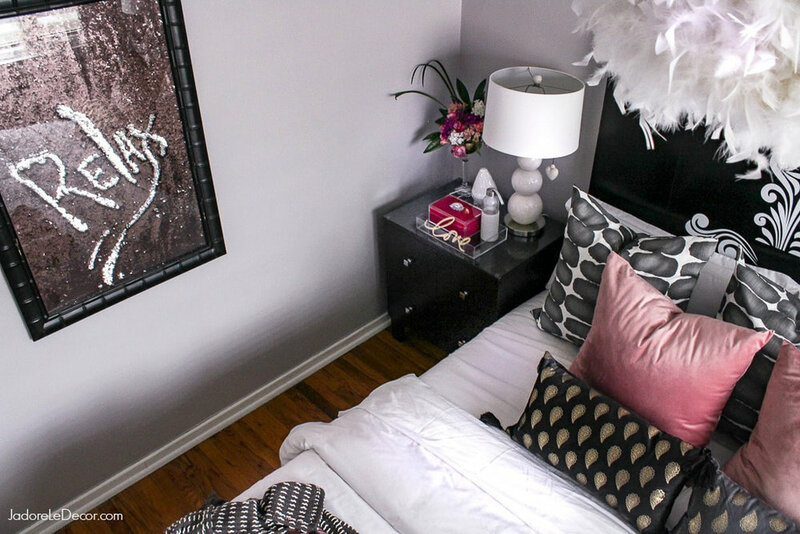 Yet when put together, they transformed this space into one of the most mysteriously attractive rooms in my home. I can't wait to show you what I've come up with. This room has undergone numerous transformations. My expensive taste in furnishings doesn't always see eye to eye with my budget. As a result, I take lots of half steps before arriving at the final product. And if you recall my confession in a previous post you know that I also hate spending money. It’s an ongoing contest of strength between the three. I had all sorts of plans for this headboard but only made a half-hearted effort to transform it. This clunky furniture, as much as I loved it, proved to be more difficult to work with than I had imagined. Contemporary bohemian chic is my go to style. Not too much bling. Easy on the pattern mixing. 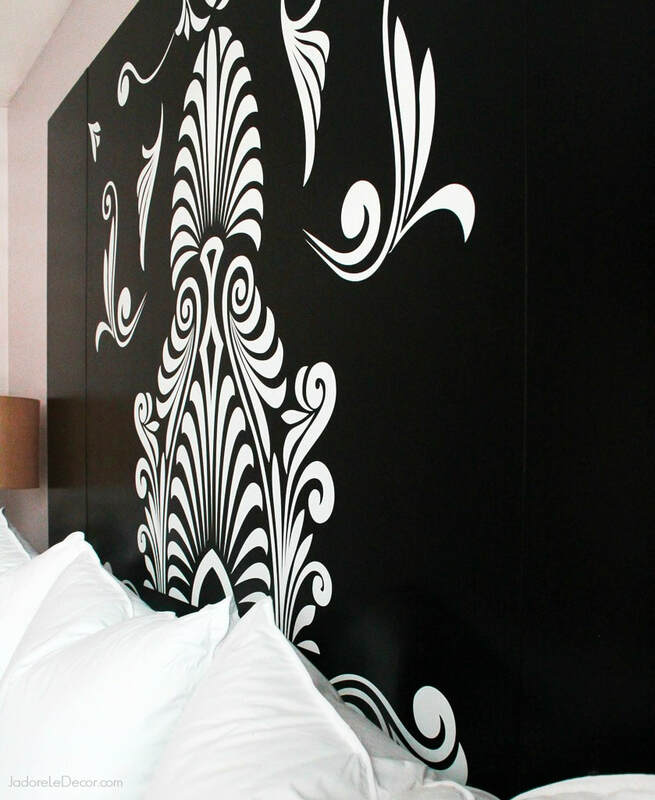 A sprinkle of whimsy, and a good blend of geometry and curves is my sweet spot. 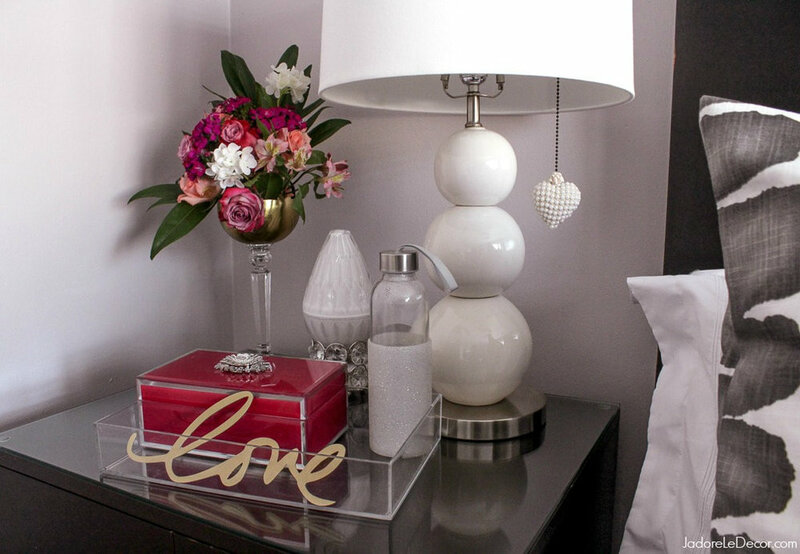 What follows next in this post is a photo journal of how I managed to work all of those elements into this space to create what I think is a graceful, hypnotic oasis for The Husband and I. Men tend to gravitate to straight lines, whereas we women like to see curvy things Desperately craving a delicate touch, I purchased a decal that I had been eyeballing, during a Black Friday sale. After months of sketching out ideas I deconstructed it to create my own design. At last I had the feminine curves needed to start balancing out the room. It also provided a nice contrast to the dark wood. If you want a home that truly reflects your tastes, customization is the key. The most obvious and least expensive change was the paint color. Although green is a nice color, I did not like it in the same room with this furniture. To further complicate matters, since my husband’s favorite color is red, he insisted on that color for the curtains. Ugh…The two colors together made me feel like I was sleeping in a box that was soon to be wrapped and tucked underneath a Christmas tree. 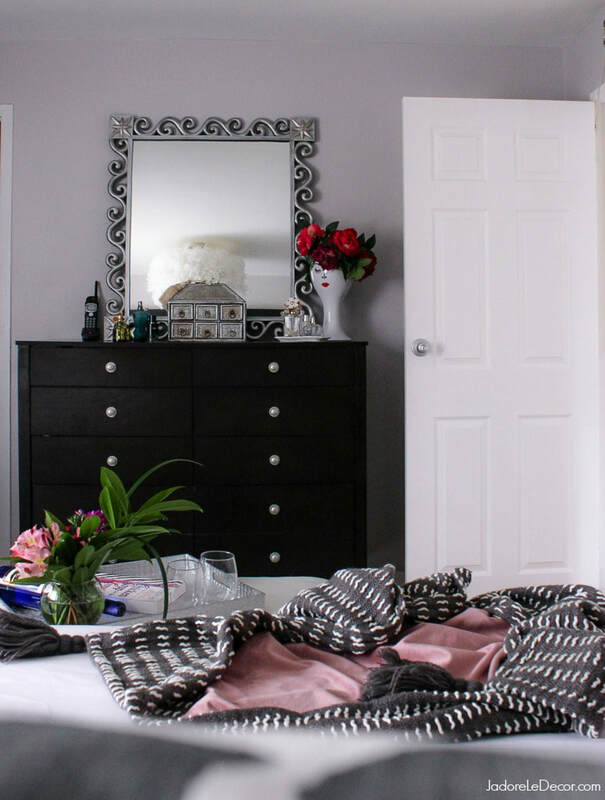 The sort of muted pastel hue in SW6274 -Destiny by Sherwin Williams provided the perfect juxtaposition. Quick! Hold your nose and say the word, "whaaaow". It's The Husband's signature response when he likes or is shocked by something. That's the response I got when he saw these pretty little dresses draped on each side of the window. Yup, these room darkening curtains are IT y’all! It's like having two curtains in one. Soft, delicate and romantic on the top. Thick and weighty underneath. While many curtains seem to lose their beauty when drawn, these ladies look good either way. Such a great compliment too to these rolling shade blinds from Select Blinds. As much as I would love to have a beautiful Moroccan Beni Ourain floor covering, Ola ain't rollin' in the dough like that. And dropping that kind of cash on a rug could be grounds for divorce in this house. Just kidding... ahem, not kidding. So until Mista' Beni or one of his friends calls me to donate said rug, I opted for a Moroccan-inspired Medallion Rug from RugsUSA.com. Affordable. Attractive. Soft. Doesn't shed. Done... Call me Beni, k? Next came the half-DIY chandy. You can read all about that simple DIY in this post. I promise you - it will take longer to read the post than it will to put one of these together. Those are the major elements that were added. As they say however, it's the details that really matter. So I'll keep silent for now to allow you to enjoy the rest of the tour. I'll see you at the end. I thought for sure The Husband would object to my liberal use of plum/pink. But to my surprise he was pretty copacetic with it, and is actually impressed with the room. Perhaps he's just glad I finally completed the project. LOL! Whatever the case, I'm officially calling this execution a successful one. 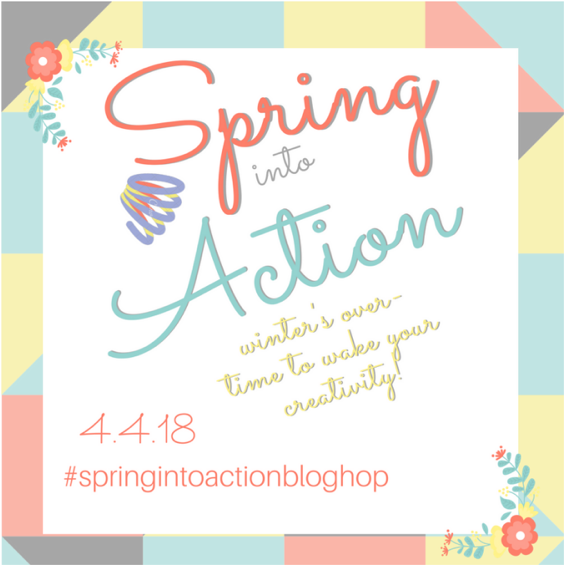 It has been my absolute pleasure to participate in this #SpringIntoActionBlogHop. 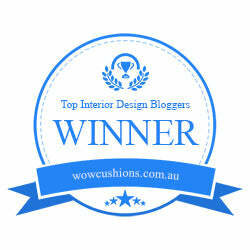 I encourage you to please visit the reveal blogs of some of the other participants. These ladies and I are collectively located in NEARLY every corner of the United States! We've all worked hard on our projects and would love to have you over for a visit. The next blog on the Hop to visit is N'Ckyola from 4th House on the Right.